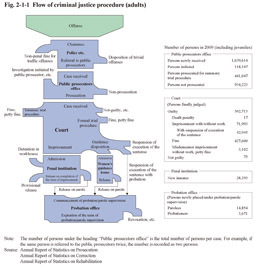 This chapter provides an overview of the treatment of persons cleared by the police, etc., in the process of their subsequent prosecution, trial, correction, and rehabilitation (See Section 1, Chapter 2, Part 4 for juvenile cases). Fig. 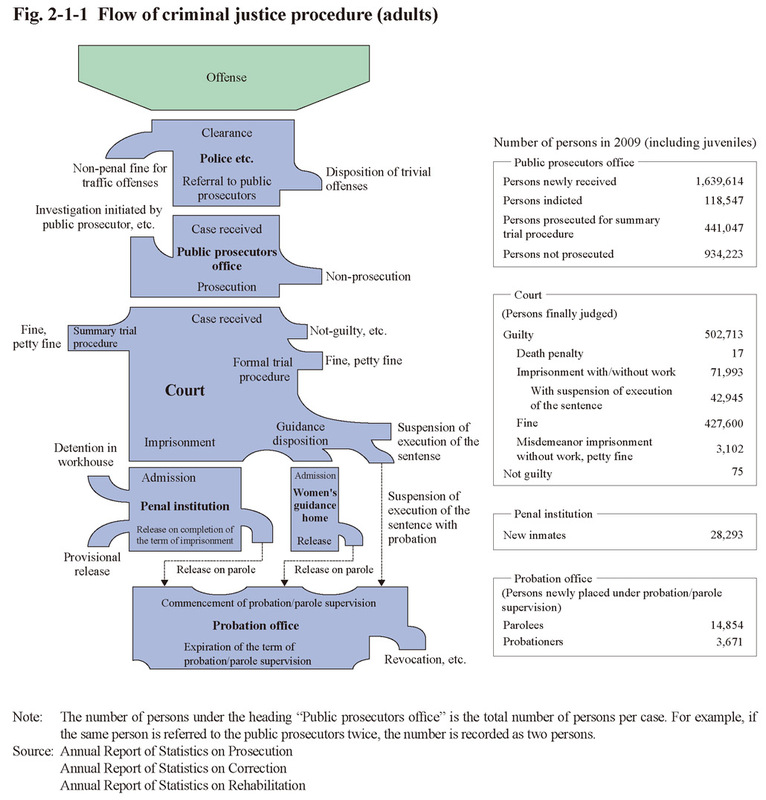 2-1-1 shows the flow of criminal justice procedure for adult offenders.